Check this website for the latest information on pre-registration beginning in the springtime. 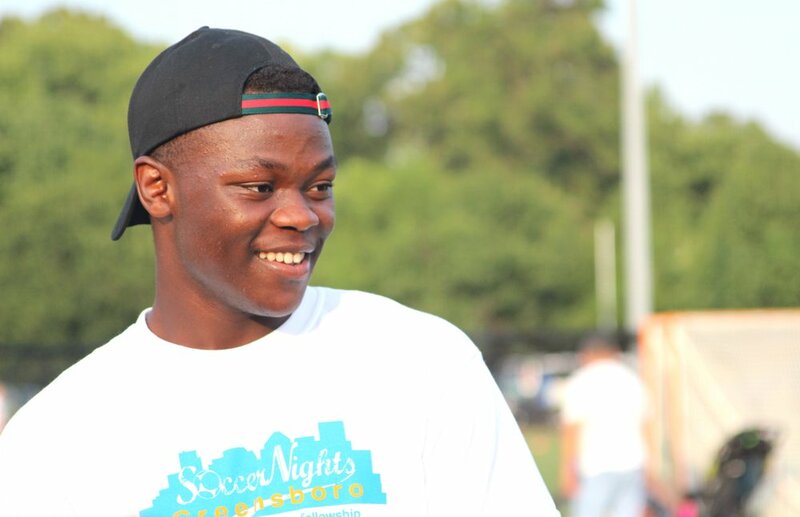 Soccer Nights is a FREE community soccer clinic for boys and girls ages 5-12 hosted in downtown Greensboro each summer by King's Cross Church & and their network of community partners. The last few years we have hosted this event, we had around 400 students attend. Families are also encouraged to stick around and watch. On our final nightly gathering, we'll enjoy a FREE hotdog meal together. To learn more about Soccer Nights, watch the video below, or contact our Commissioner. WHEN & WHERE WILL SOCCER NIGHTS RUN? 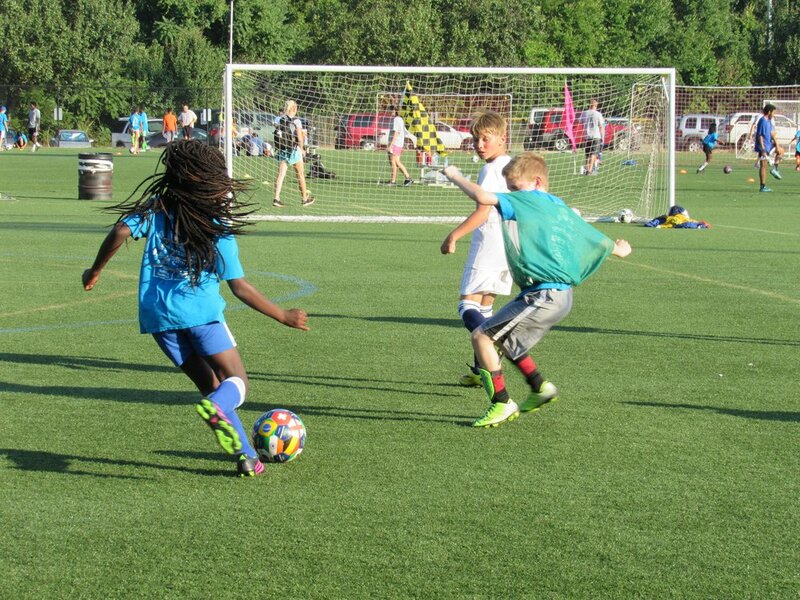 Soccer Nights will gather each night from July 16th - 19th, 6:30pm until 8:30pm at the Smith Soccer Complex near the Four Seasons Mall (2399 Veasley St, Greensboro, NC 27407). 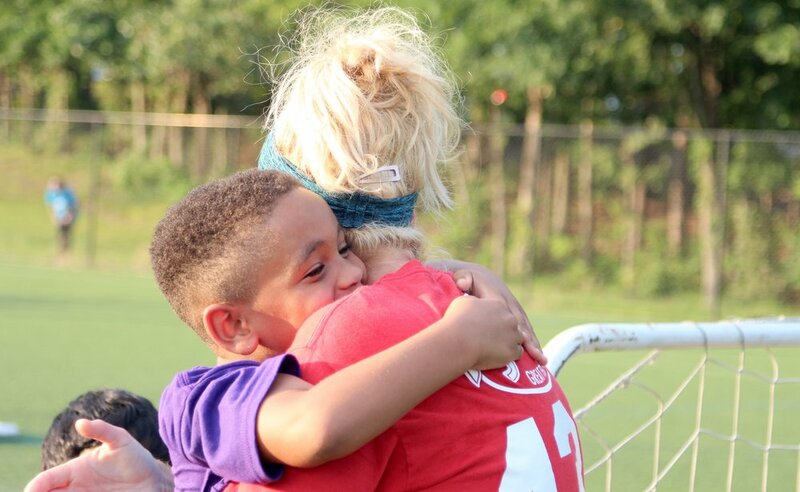 Volunteers have been properly vetted and come from King's Cross, Greensboro United Soccer, and other partner churches/groups who care about making a positive impact in the Triad. WHY ARE YOU HOSTING SOCCER NIGHTS? 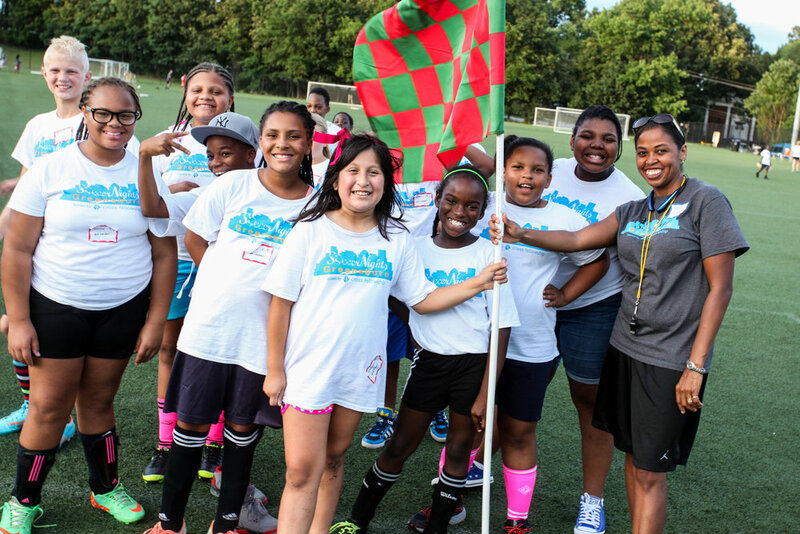 Offer a free soccer clinic for children in the community who otherwise would be unable to attend a sports camp. Bring local businesses and volunteers together to accomplish something positive for the community. Broaden the minds and deepen the character of the participants by having a themed focus that educates the children on an aspect of our community.